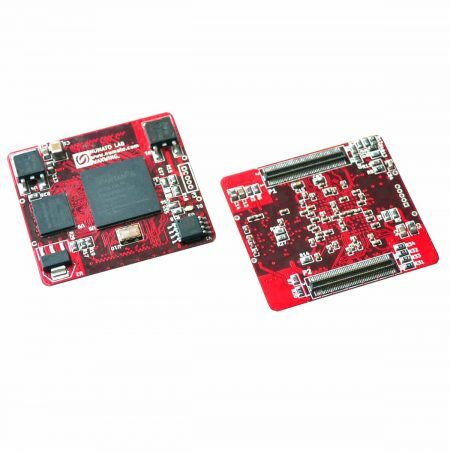 PIC32MX microcontroller development board with Microchip HID bootloader preprogrammed. 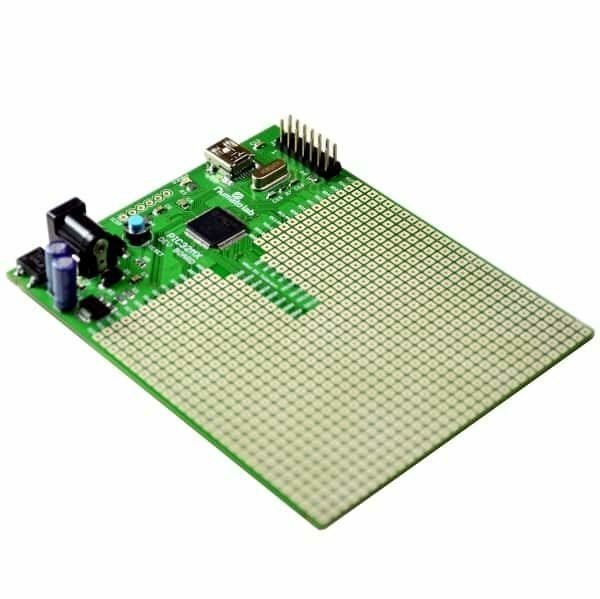 This board can be conveniently powered by USB or by an external power supply for standalone applications. 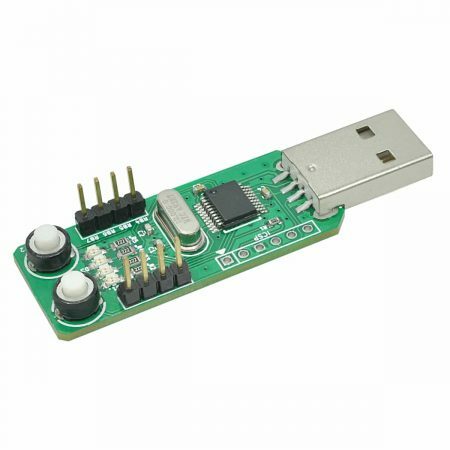 Preprogrammed bootloader helps you start testing your programs without even buying a programmer. Caution: Use procdefs.ld in your project to avoid bootloader being overwritten. We recommend using one of the sample projects below as a starting point. 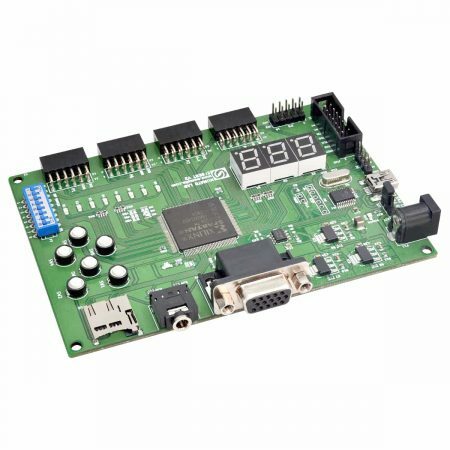 Connect IO Port RD7 to Ground and reset the board to enter bootloader mode.